Dog Ear Publishing releases “Unchartered Waters” by Theodore Carl Soderberg. Readers enter a world of wisecracking sailors and stormy seas in this new novel released by Dog Ear Publishing. What do a ship loaded with jet fuel, a woman connected to a mob boss, a cast of characters and a writer’s obsession with the sea and lovely ladies have in common? They all play a role in this new book released by Dog Ear Publishing featuring an actual event in the Arabian Sea, set during Operation Desert Shield/Desert Storm. The story features exotic ports of call, shipmates that run the gamut from sweethearts to slobs and an unforgettable adventure. 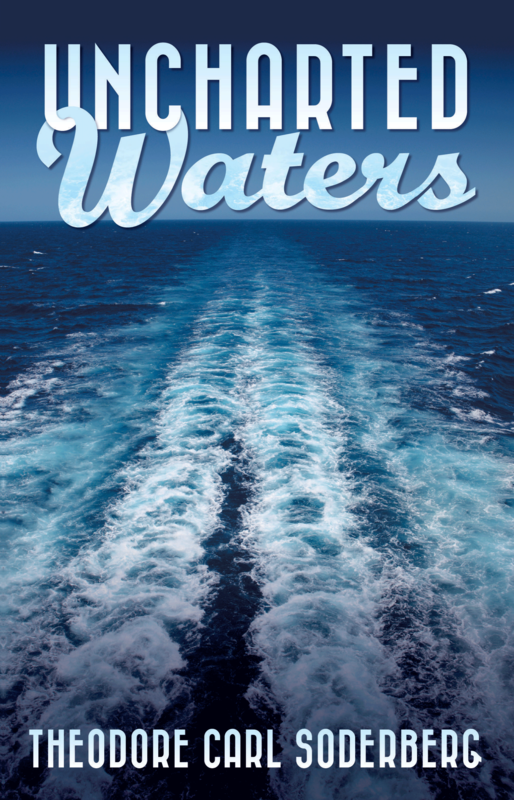 In “Unchartered Waters” the story’s middle-aged narrator, Theodore, who works for the Merchant Marines after serving in the Navy, receives an assignment to join a two-year-old ship in Japan. Before the ship even leaves dock, he’s met his cross-dressing, cleaning-obsessed watch partner, as well as a gorgeous woman. Unfortunately, all of that woman’s former boyfriends turn up dead, thanks to a mobster, and she’s become a cook on the ship to hide. The two hatch a plot to get her off the ship. Theodore’s companions on board the refueling ship share their own stories, keeping them entertained as they float around the globe. Before their excitement at sea ends, an accident with the ship puts everybody in danger, and Theodore hears from an old friend. Maritime fans and those who like taking a risk will enjoy entering unchartered waters with their amiable host. For additional information, please visit www.soderbergbooks.com. 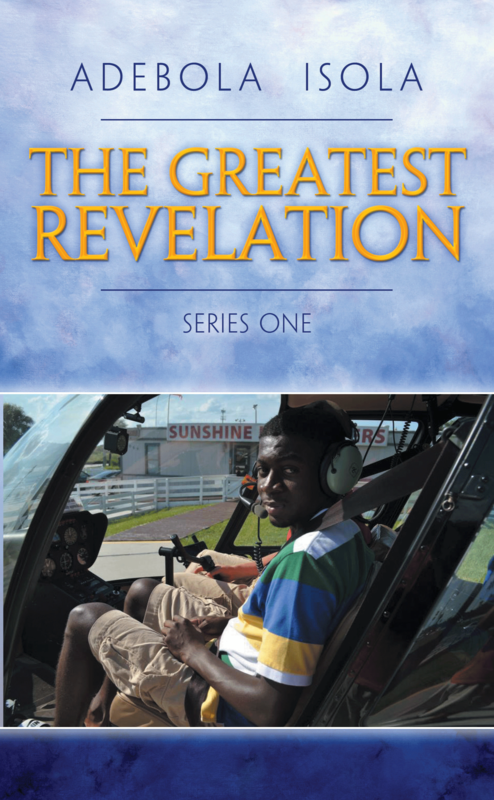 Dog Ear Publishing releases “The Greatest Revelation: Series One” by Abebola Isola. A West African-born student offers his perspective on the Bible in this new book released by Dog Ear Publishing. Reading the Bible is a personal experience for many people, and sometimes its messages don’t come across clearly. In his new book, author Abebola Isola, a university student, shares the insights he’s gleaned from his own reading of scripture, told in an easy, conversational style that’s easy to follow. He writes that he was inspired to write the book because he wanted to share God’s message with children, teenagers and adults who don’t understand it. “The Greatest Revelation: Series One” focuses mainly on Bible passages from the Book of Matthew, with each verse followed by a short interpretation. For instance, Isola explores Matthew 4:13: “You are the salt of the earth.” His explanation is the earth needs us or it can’t function, so everyone has responsibilities to God. Regarding Matthew 15:8 — These people honor me with their lips, but their hearts are far from me. – he explains that Christianity must come from the heart. Instead of talking about Christianity, people need to act and serve God from the bottom of their heart. Isola humbly presents his interpretation of the Bible, poking fun at himself and some of his initial misconceptions about scripture. For instance, when he was a child, he thought the verses that talk about cutting off part of the body that cause people to sin was literally – that he should cut his body. He later realized, with God’s help, that the scripture referred to metaphorically shedding things that cause people to sin. Author Abebola Isola, a student at the University of Minnesota, is majoring in economics. Isola was born in Lagos in Nigeria, Africa. His father, an engineer, lives in Nigeria, and his mother, a nurse, lives in America. For additional information, please visit www.adebolabook.com. 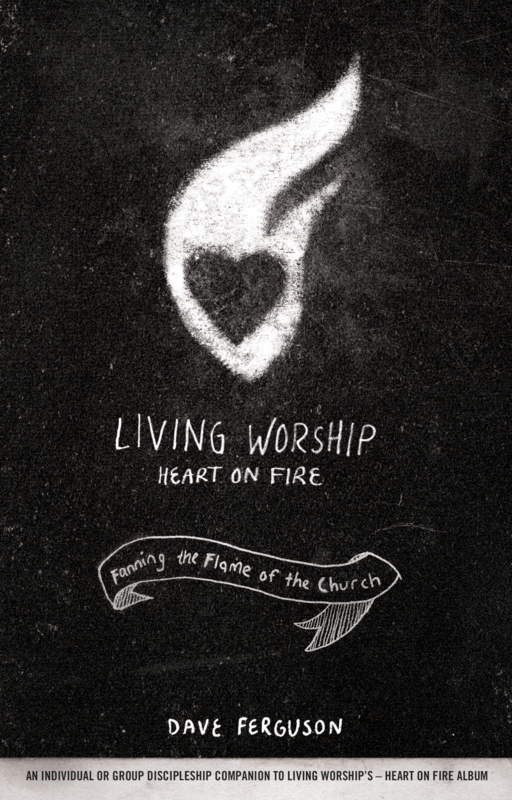 Fans of Living Worship’s “Heart on Fire” album and newcomers to the music will be interested in this new book released by Dog Ear Publishing. Author Dave Ferguson engages the reader in an honest and heartfelt conversation about life, worship and relationships, both with God and others. Author Dave Ferguson, the founder of Living Worship, released his first album in November 2012 and shortly after felt led to write “Heart on Fire,” a companion piece to the album and a means of spiritual growth. The album Heart of Fire is alight with Ferguson’s love for God, and the book seeks to fan the flames of worship in the reader and the church. Each chapter revolves around a song on the album, and from that vantage point, Ferguson delves into related spiritual themes. Every chapter is thoughtfully laid out with personal stories, related scriptures, song background and lyrics in a very relatable fashion. Readers are also given tools for group discussion or individual contemplation, and Ferguson offers a specific prayer for every chapter. Everything is carefully chosen to create an atmosphere of spirituality, encouraging readers to become closer to God as they use the book and album to guide their worship. “Heart on Fire” is one man’s passionate outpouring of love and praise to God, and a guide for readers who want to step up their worship. This is the first book for author Dave Ferguson, the lead worship pastor for Living Church outside of Cincinnati. In addition to his devotion to music and the ministry, Ferguson played a part in raising funds to buy bicycles for many pastors in Kenya who needed a method of transport for their ministry. Ferguson, his wife, Autumn, and their family live in northern Kentucky. For additional information, please visit www.livingworshipbooks.com. Available at Ingram, Spring Arbor, Amazon.com, Barnes & Noble and fine bookstores everywhere. 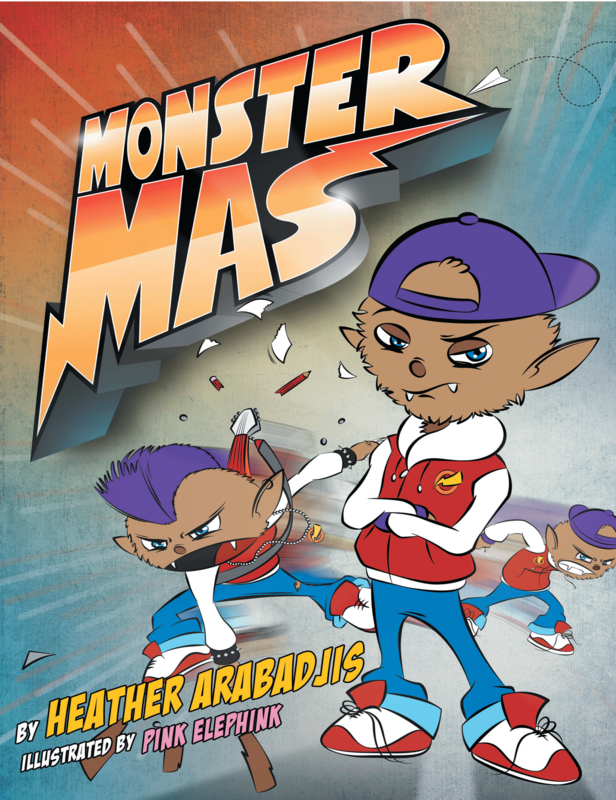 Dog Ear Publishing releases “Monster Mas” by Heather Arabadjis. A new student receives tips to keep his temper from boiling over at school in this new book released by Dog Ear Publishing. Right from the beginning, Monster Mas suspects he’s not going to have a good day. First, his mother pushes him out the door mid-sentence, and when he arrives at his new school, two boys cut in front of him in line and laugh at him. Under trying circumstances, it can be hard to keep your cool, as this new children’s book shares, especially when you have a bad temper. “Monster Mas” features a youngster with bug-infested hair who starts to steam and run around like a locomotive when he gets angry, roaring with frustration. In the classroom, he tries to impress a girl but gets his times tables mixed up, prompting a temper tantrum. A squeezy toy from his teacher helps calm him. His frustrations continue in the cafeteria, during music and back at his classroom. When his face starts turning rainbow colors, a kind classmate reminds him about what’s important. After running through all of his calming techniques, Monster Mas feels himself transformed – literally. Heather Arabadjis offers a gentle lesson in coping and being kind in this charming story, and the cartoon illustrations by Pink Elephink bring the characters to life. The book provides adults and children with a way to discuss real-life situations while reading aloud together. Author Heather Arabadjis has taught for the New York City Department of Education for 11 years. She now teaches children with physical or mental disabilities in their homes but has taught all grade levels, including spending eight years in a classroom in the South Bronx. For additional information, please visit www.monstermas.com. Dog Ear Publishing releases “Condemned Property?” by Dusty Earl Trimmer. A decorated Vietnam War veteran shares his perspective on the conflict — including how it continues to affect those who served in that unpopular war — in this new book released by Dog Ear Publishing. Veterans of the Vietnam War, now in their mid-60s to early 70s, made it through that dreadful conflict but were changed forever. Some tried to push their memories away, only to be haunted by what happened in South Vietnam, while others want to speak but find few who will listen. This new book by Dusty Earl Trimmer, himself a Vietnam veteran, shares his experiences and what it’s like to live as a survivor of a very unpopular war that continues for those who served in that tropical country. 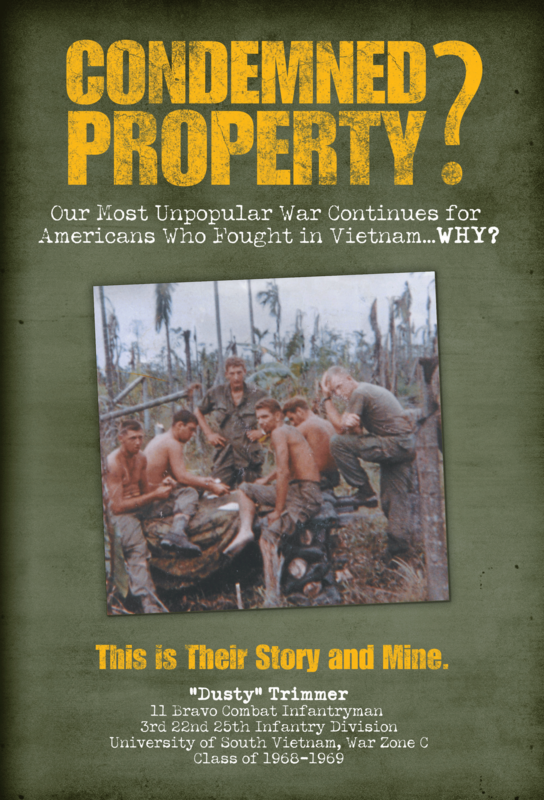 “Condemned Property?” provides a stark portrait of combat and its lingering effects on veterans, including the author. For instance, Trimmer changed jobs almost two dozen times because he couldn’t find or keep a job with few employers wanting to risk employing a “crazy” Vietnam veteran and he nearly killed himself in a high-speed sports car accident. Many of his fellow survivors came back unable to work, becoming homeless and unable to care for themselves. From descriptions of combat maneuvers to accounts of everyday nuisances – such as leeches and bathing in Agent Orange run-off and refuse-filled rivers – and the hostile welcome veterans had once they came home, Trimmer brings the war to life in vivid detail, as only someone who served there can do. Trimmer writes that he wanted to publish the book to preserve memories of the Vietnam War veteran’s generation as those veterans are dying every day, as well as to inspire them to never give up if they are trying to get help from the Veterans Administration. In Trimmer’s continuing effort to help his fellow veterans, a portion of proceeds will be donated to disabled veterans, homeless veterans and highly rated military charities such as Army Emergency Relief, Intrepid Fallen Heroes Fund and the Wounded Warrior Association. For additional information, please visit www.condemnedpropertybook.com. 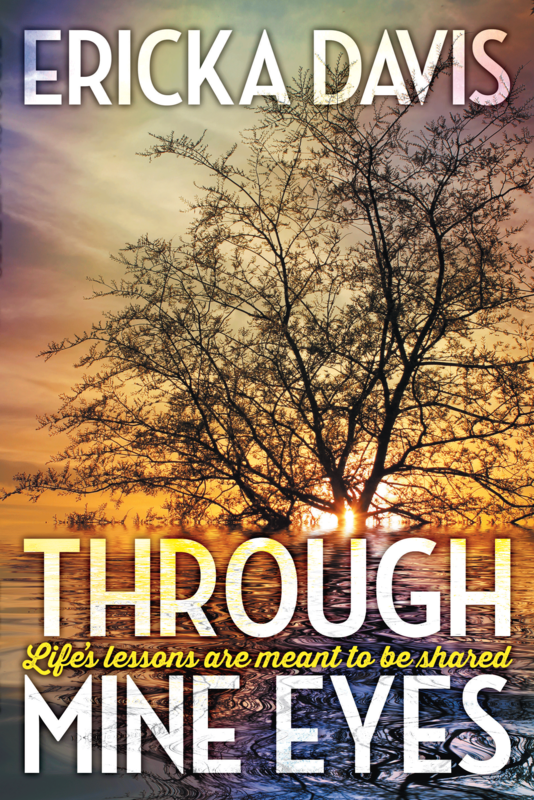 Dog Ear Publishing releases “Through Mine Eyes: Life’s Lessons Are Meant To Be Shared” by Ericka Davis. A teacher – and poet – writes about the life experiences from the perspective of a young girl in this new collection of poetry released by Dog Ear Publishing. Personal experiences shape and change lives, whether for the better or for the worse. This new book of poetry shares experiences and impressions as seen through the eyes of a young girl. With her rhythmic verse, author Ericka Davis offers stories that focus on values ranging from heartbreak and sensuality to challenges, spirituality and love. These memorable moments become the stepping stones that allowed her to reach life goals. Author Ericka Davis, a native of Louisiana with a bachelor’s degree and graduate degree in Communications/Broadcast Journalism from Southern University, has been writing poetry for years. The educator, who has a master’s degree in Adult Education and Distance Learning from the University of Phoenix, lives in Tulsa with her family. She and her husband Jody lived in Houston for more than 13 years before moving to Tulsa. For additional information, please visit www.ecaneink.com. 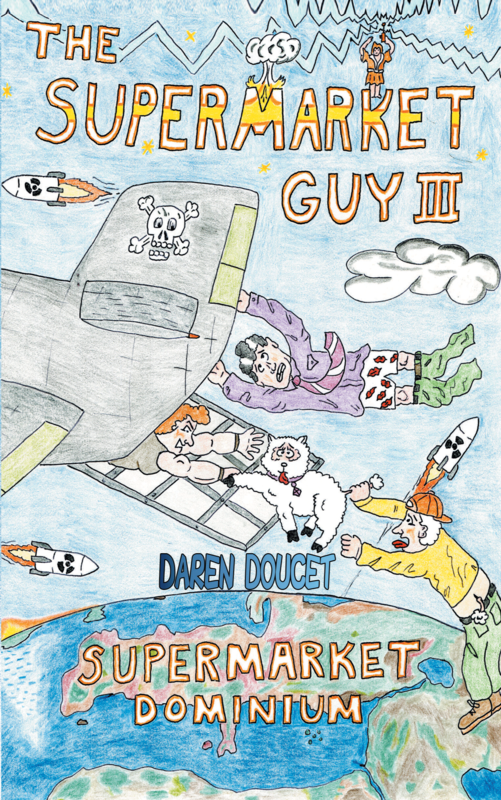 Dog Ear Publishing releases “The Supermarket Guy III” by Daren Doucet. Harold Wannapus, hero and supermarket chain mogul, is enjoying the peace and quiet that followed the incarceration of Jon Acadou, villain extraordinaire. Unfortunately for Harold, Acadou and his adopted son, Edmund, aren’t content to let things stand. As this new book reveals, Acadou experiences a strange religious conversion in the lock-up and decides he must escape and regain his rightful place at the helm of the Edmundo Market, Harold’s biggest competition. Acadou is shocked, however, to find that Edmund isn’t simply warming his father’s seat; he’s got an agenda of his own, and Acadou has no place within it. Harold remains confident he can defeat Edmund as easily as he once defeated Acadou, but Edmund’s mind-controlling concoction turns all of Harold’s friends and colleagues against him while forcing them to mindlessly follow all of Edmund’s dictates. Can the former enemies declare a truce long enough to prevent Edmund from overtaking the world? Will the unlikely team manage to stop Edmund and his minions before the unthinkable happens? “The Supermarket Guy III” is fast-paced and funny, and the quips fly just as quickly as the punches. This is the third novel for author Daren Doucet, who ably creates a universe filled with twists and turns that will keep readers on the edge of their seats. Daren Doucet is a native of Petit Rocher Sud, New Brunswick, Canada. For additional information, please visit www.supermarketguy.com.